United States Congress. "パッツイー・ミンク (id: M000797)". Biographical Directory of the United States Congress. 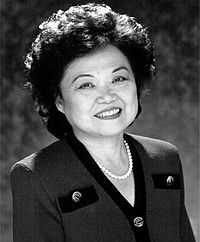 Her profile in "Distinguished Asian Americans"
Her profile in "American Women Administrators"
Her profile in "Called from Within"